Product prices and availability are accurate as of 2019-04-26 02:40:57 EDT and are subject to change. Any price and availability information displayed on http://www.amazon.com/ at the time of purchase will apply to the purchase of this product. 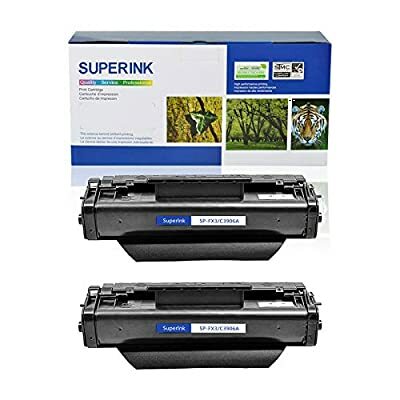 SuperInk Products Toner Cartridges is optimally designed to replace your Canon FX3 1557A002BA cartridges and provide excellent printing performance. It is an affordable and reliable alternative to OEM product. We safeguard the quality of every cartridge delivery, by closely monitoring the toner cartridge transport process, and ensuring you receive these delicate products in a timely manner. 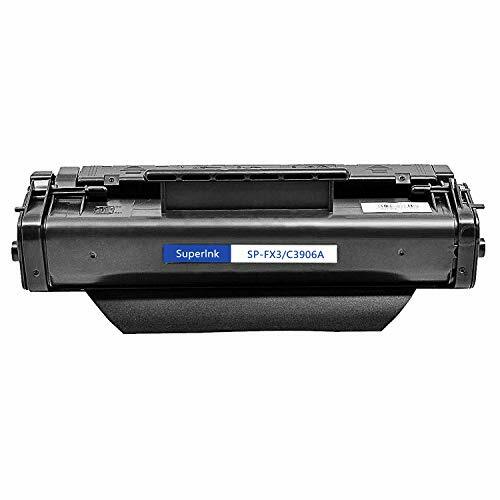 One black cartridge can print up to 5000 pages for A4 papers at 5% coverage. Well protected package contains 2 pack FX3 Black Toner Cartridges. 1.Power off the printer and open the front cover. 2.Take out used cartridge from the printer. 3.Remove the new toner cartridge from the packaging. 4.Grasp both sides of the cartridge and gently shake the cartridge from side to side to evenly distribute the toner inside the cartridge. 5.Place the cartridge on a flat surface. Locate the sealing tape on the side of the cartridge and pull the tape straight out (do not pull at an angle). 6.Insert the cartridge in the printer, and push until firmly seated. Close the front cover. Power on the printer. Our package printing features a 2-Year Warranty Statement, but we are so confident in the quality and performance of our cartridges that we extend it to a FULL, LIFETIME WARRANTY. Your complete satisfaction is our number one priority.